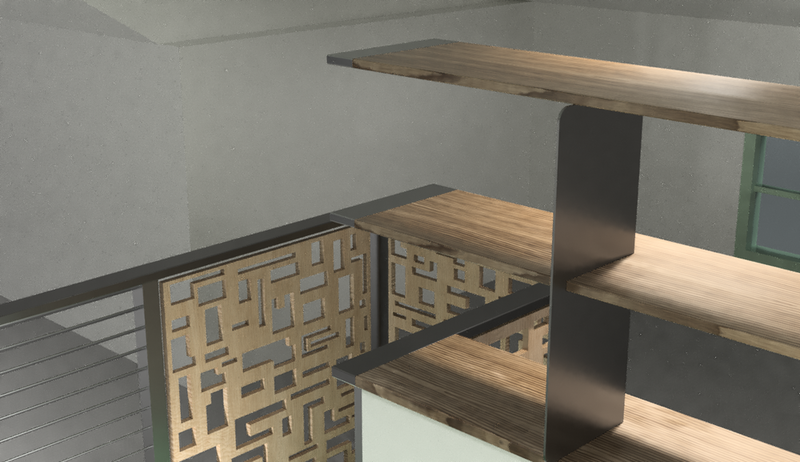 One of the most beneficial components of the business is the ability to convey styles and designs through realistic 3-dimensional renderings. Clients and professionals alike find this service to be incredibly helpful in determining the finish, scale, and overall aesthetic of the project in question. Every minute detail can be established and confirmed before a single piece of material is ever ordered or cut. This prevents costly errors due to miscommunication, and provides the end-user with a clear visual representation of the product. Let us know how we can help you in the design process. 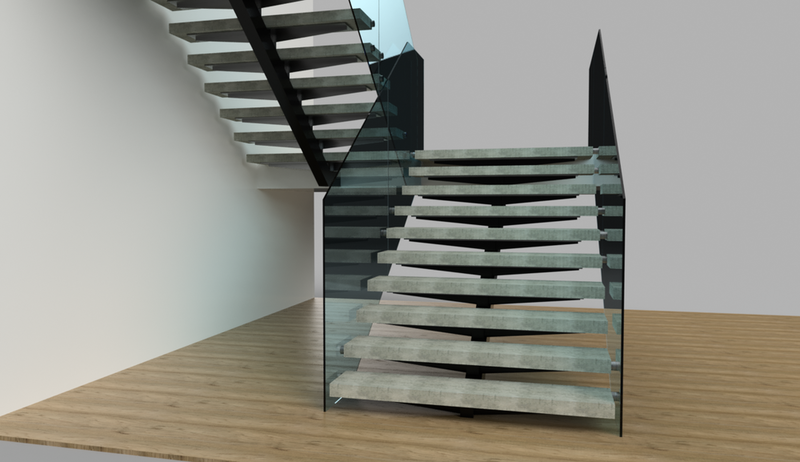 This rendering of a staircase began as a concept and was eventually made into a reality. It is the focal point of the great room, as well as a focal point through the large bank of windows as you approach the home from the drive. 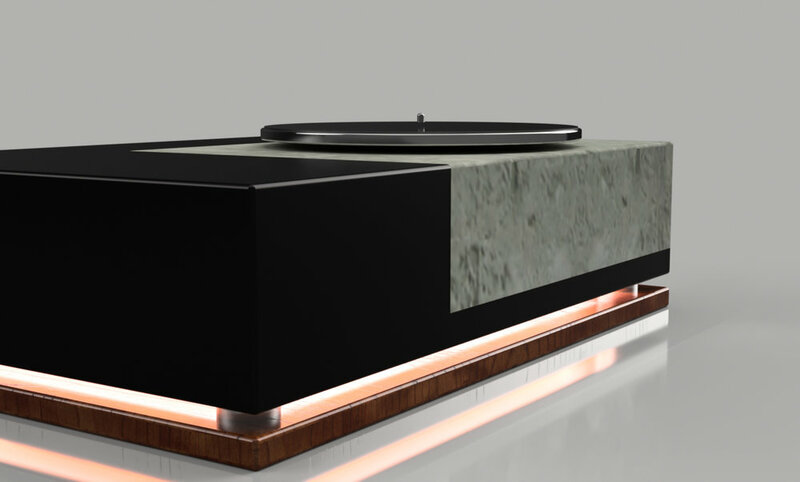 This custom turntable started as a concept, and was eventually fabricated and fit with some of the best components from around the world. The vibration dampening characteristics of the concrete plinth in combination with the specified components needs to be heard to be fully appreciated! Guardrails and shelving provide great opportunities to step outside the boundaries of ordinary, mundane, and ubiquitous designs.